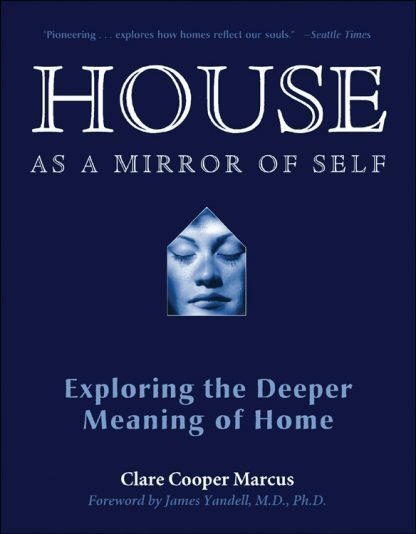 House as a Mirror of Self presents an unprecedented examination of our relationship to where we live, interwoven with compelling personal stories of the search for a place for the soul. Marcus takes us on a reverie of the special places of childhood--the forts we made and secret hiding places we had--to growing up and expressing ourselves in the homes of adulthood. She explores how the self-image is reflected in our homes; power struggles in making a home together with a partner; territory, control, and privacy at home; self-image and location; disruptions in the boding with home; and beyond the "house as ego" to the call of the soul. As our culture is swept up in home improvement to the extent of having an entire TV network devoted to it, this book is essential for understanding why the surroundings that we call home make us feel the way we do. With this information we can embark on home improvement that truly makes room for our soul. A consultant and freelance writer in the field of people-environment relations and environmental psychology, retired UC at Berkeley Professor of Architecture and Landscape Architecture Clare Cooper Marcus has written several books on architecture and community. Professor Marcus has consulted for the Department of Housing and Urban Development in Washington DC, San Francisco City Planning Deptartment, New Zealand Department of Public Works, the Canadian Housing Design Council, as well as private architecture and engineering firms.